The results of the author’s linguistic research confirm the identification of the idiom written with Linear A as a language of agglutinative character. The Hurrian language appeared to be the best candidate from a linguistic and historical point of view. The predominantly Hurrian kingdom of Mitanni, with its vassal states in Syria such as Alalaḫ and Aleppo (Ḫalba in Hurrian, Ḫalab in Semitic), was the only great political and military power next to Egypt, contemporary with Minoan Linear A in Crete. The Hittites had not yet reached equal power, although Ḫattušili I had campaigned in Syria and had sacked Alalaḫ and other cities, and Muršili I had even sacked Babylon. 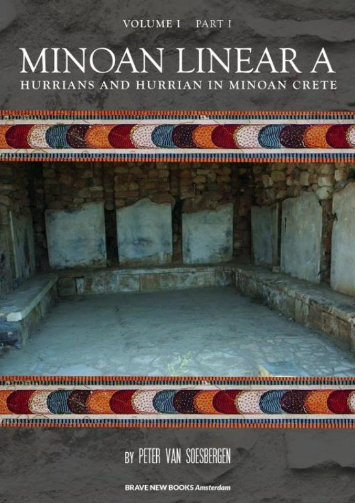 If Hurrians played a significant part in Minoan civilization, it appears preferable to explain the most striking parallels between Hesiod’s Theogony and the Hurrian myths of ‘the Kingdom in Heaven’ and ‘the Song of Ullikummi’ (first described by H.G. 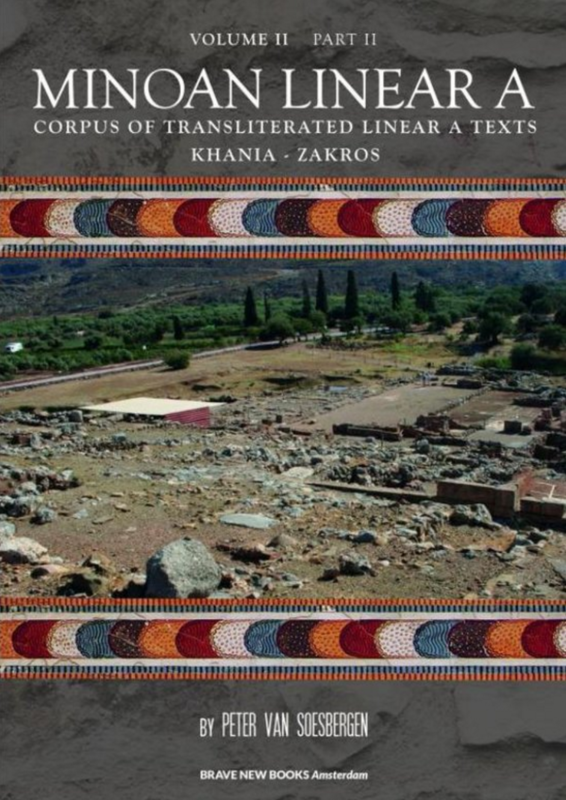 Güterbock, Kumarbi (Mythen vom churritischen Kronos aus den hethitischen Fragmenten zusammengestellt, übersetzt und erklärt, Zürich – New York 1946) through close contacts between Mycenaean Greeks and ‘Hurrian’ Minoans in Crete during the Bronze Age than by later contacts of Greeks with the Near East and Asia Minor in historical times. 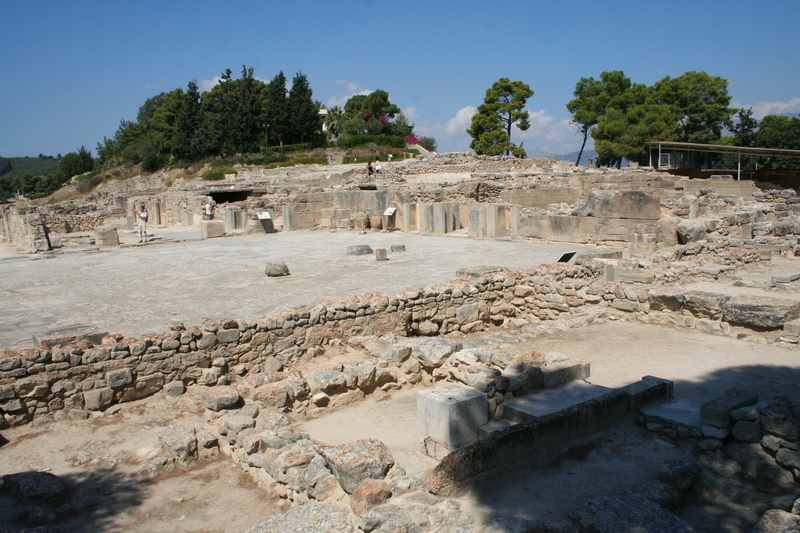 This explanation is even more likely, if one realizes that the stories told by Hesiod do not give the impression of a recent transmission through contacts of colonisation and commerce in the eighth century B.C., but suggest that they were already deeply embedded in Greek religion and daily life. The author shows that the parallels are not limited to the struggle between three generations of Gods: Hurrian Anu (Heaven), his son Kumarbi and grandson Tešub on the one hand and Greek Ouranos (Heaven), his son Kronos and grandson Zeus on the other. 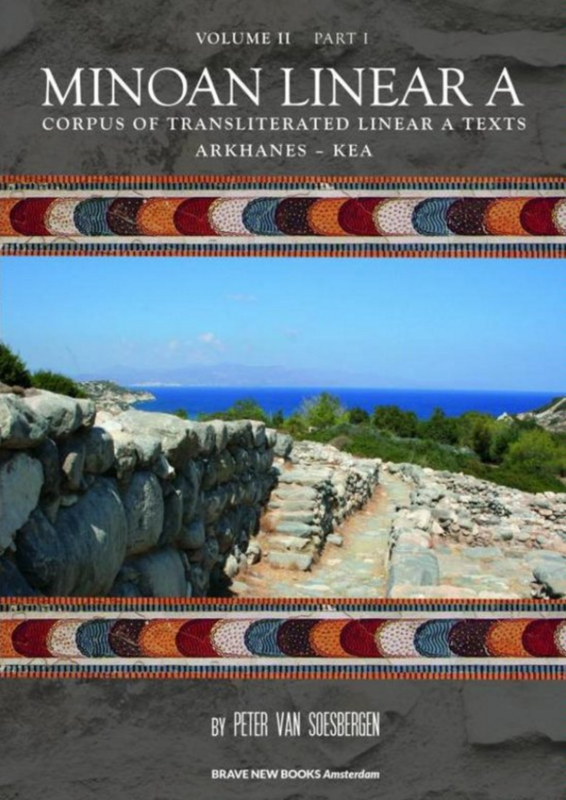 In Chapter 12 special attention is paid to the Mycenaean Greek gods and their names and to the derivation of their character from ‘Hurrian’ Minoan prototypes. Some Pre-Greek theonyms may well have a Hurrian origin, for instance, the names of Athena, Hebe, Hermes and Theia. The name Hera may well be a translation of the Hurrian theonym Allani (the Lady), epithet of the goddess Ḫebat, spouse of Tešub. The name of the hero Theseus may be derived from the Hurrian hypocoristic theophorous name Teššuḭa (in cuneiform writing Te-eš-šu-ia, Te-šu-ia, Te-iš-šu-ia, Ti-iš-šu-ú-ia), attested at Nuzi. The name of the Cretan hero Perseus (‘destroyer’ of the female monster Medusa) may be the Greek translation of a Hurrian personal name found in Linear A. The name of Minos’s daughter Ariadna may well have a Hurrian etymology: Hurrian *Ari-attana > Minoan *Ari-athānā ‘Athana is giving’ > *Ari-athnā (syncope) > *Ari-adnā (voicing of the dental under influence of nasal in Hurrian) > (Greek) *Ἀριάδνᾱ > Ἀριάδνη. Thus the name of Ariadna reveals the kernel of the myth: Athena helps Theseus to escape from the labyrinth in the appearance of the daughter of Minos, concealing that a goddess is interfering in mortal affairs. Hurrian Attana (voiceless dental because of double writing) occurs at Nuzi and Alalaḫ as the name of a month: Attana, attanašwe. After the general bibliography the reader will also find a list of bibliographical abbreviations. 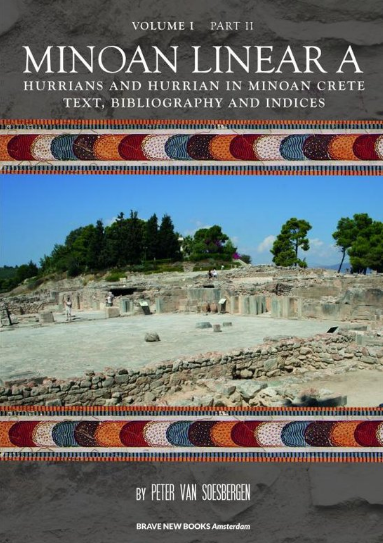 Instead of a general alphabetical list of indices, the author has preferred to group them under various headings such as ‘Linear A’, ‘Linear B’, ‘Hurrian’, ‘Greek’, ‘Script and language’, ‘History and culture’, etc. A complete list of indices is mentioned in the contents on page IV.